Kansas branch dojo has been established. This dojo has membership of Daito Ryu Muden Juku. 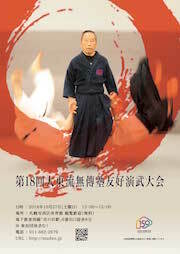 We are bringing the headmaster of the Muden Juku, Iida Shihan, to Kansas in May 2014 in order to conduct an open seminar. We will foster a mutual relationship between our dojos by continuing vists to Japan for training. We hope to spread Aiki far and wide! 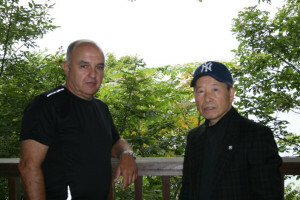 Oisin and Megumi Bourke practiced Daito Ryu Muden Juku directly under Iida Hiroo, the founding Shihan, for over eight years . 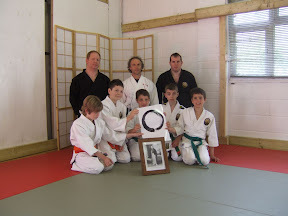 They currently live in Ireland and have set up a branch dojo of Muden Juku there. Please contact us before coming to class. 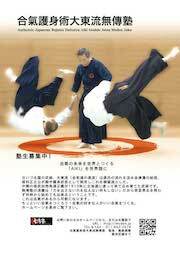 Edward Dyson has also practiced in Muden Juku directly under Iida sensei for a number of years while on a research sabbatical in Hokkaido University. He currently resides in England with his family. I hope that these three, working together, will help spread Muden Juku in Europe .With this in mind, to develop goodwill, Muden Juku will share our practice with other interested groups if they are interested in experiencing authentic Daito Ryu and training in Japanese bujutsu. For a long time you have trained in the shugyo of budo. I greatly respect such perseverance. ln recognition, I give you a Japanese flower in commemoration. This flower is called: “ obana no enrei sou.” lt is a wild flower of Hokkaido. This flower takes 10 to 15 years to bloom，but it can live for another 20 to 50 years.The flower is the symbol of Hokkaido University. There are six petals in the flower,representing: North, South, East, West and Heaven and Earth. These petals mean that from the university, wisdom and knowledge flow out in all directions across the world. I want Daito Ryu to spread across the world. Like this flower, Aiki takes 10-15 years to bloom but then it lasts for many years afterwards.